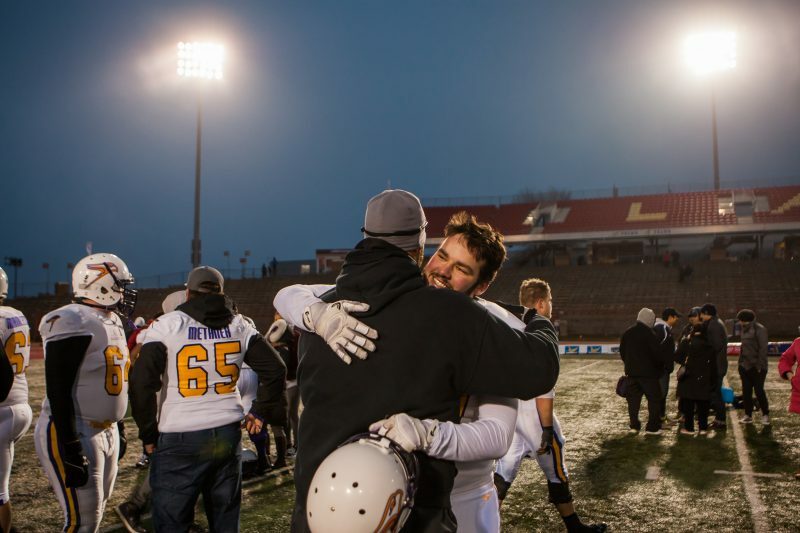 Telus Stadium at the University of Laval was the venue as the Laval Rouge et Or and the Laurier Golden Hawks were ready to square off in the national semi-final Uteck Bowl. The stadium was lively early on, with more than 13,000 fans in attendance and almost all of them wearing the Laval red and gold. The introductions were finished, the anthem was sung and the players and fans, alike, were ready for some football. Laval picked up the game’s first score with nice pass to the end zone from Hugo Richard to Felix Faubert-Lussier for the score. Laval struck once again before the end of the first quarter, as Richard would dump a pass to Jonathan Breton-Robert, who was able to carry it in for the touchdown. After the first quarter, the red and gold led 14-0. 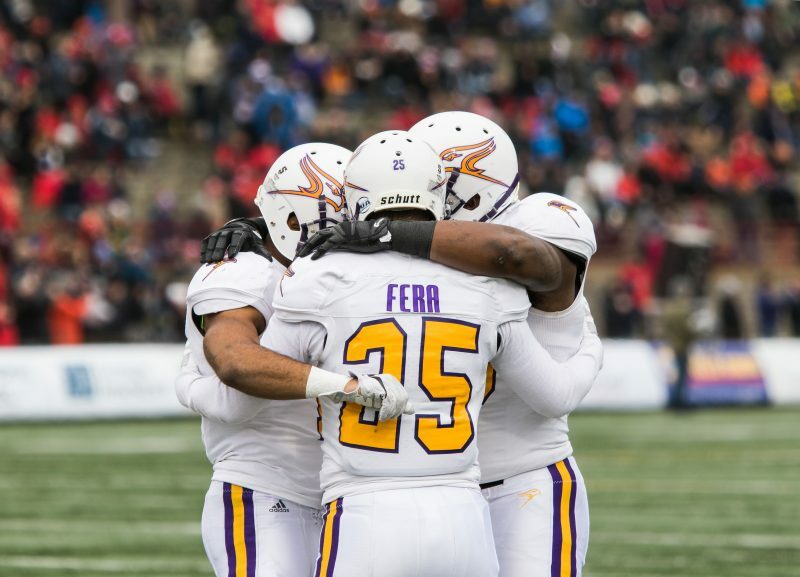 To start the second quarter, Laval was able to convert on a field goal and then forced a Laurier safety, to extend their lead to 19. Laval would continue to roll as they extended their lead to 26-0 after Sebastian Serre was able to take it into the end zone. Laval added three more on a field goal before the teams broke for the half. At the half, the Golden Hawks were only able to pick up 75 total yards in comparison to the 279 that Laval was able to grab. The second half began with the teams exchanging punts. The Golden Hawks looked to finally break through the defence, getting the ball all the way down to the Rouge et Or 18-yard line before Osayin Iginuan fumbled it and gave it right back. On the next drive, with Laval in the red zone, they fumbled and Laurier was able to recover on their own 6. 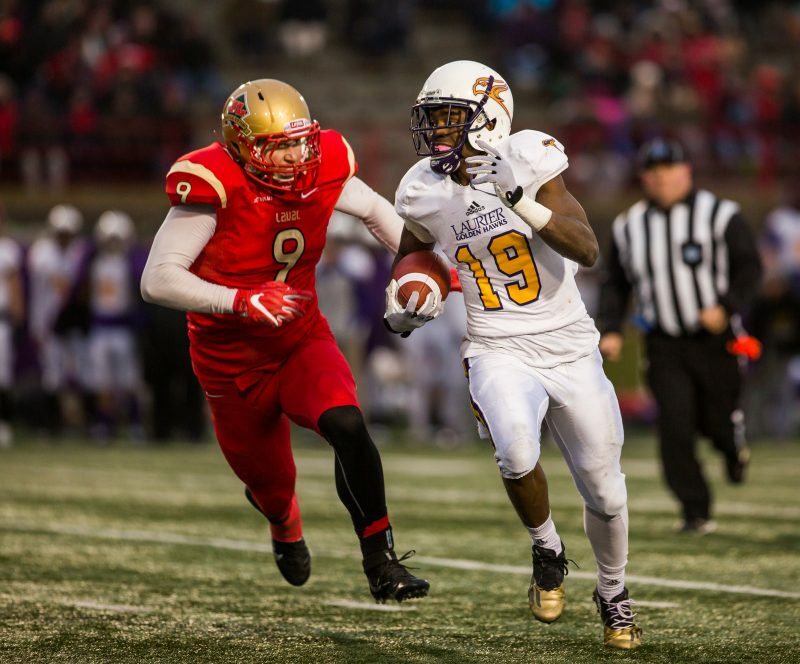 Laurier couldn’t convert and punted it right back to the red and gold. This time, Laval was able to capitalize and extended their lead to 36-0. That would remain the score at the end of the third quarter. Laval marched down the field once again and attempted a 40-yard field goal that they missed and was taken out of the end zone by the Hawks. Once again, the Hawks offence was unable to take advantage and punted it back. Laval fumbled the punt and the Hawks were able to recover it on the Laval 41-yard line, looking for their first points of the game. Unable to do anything with it, the Hawks punted it back into the Laval end. Late in the fourth quarter, the Golden Hawks were able to get on the board as Michael Knevel found Brentyn Hall. 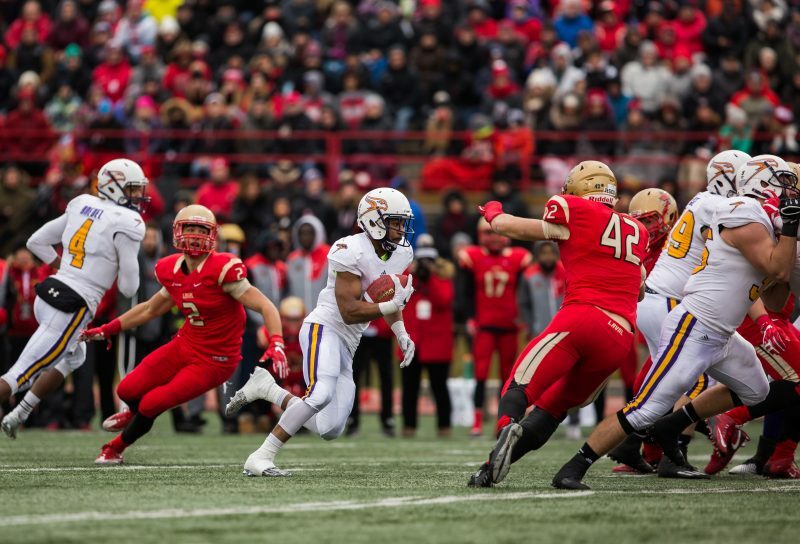 That would do it as the Laval Rouge et Or became the Uteck Bowl champions, after defeating the Golden Hawks 36-6 and are now headed to the Vanier Cup next weekend in Hamilton, Ontario. Laurier head coach Michael Faulds was expectedly disappointed with the days results. “They’re definitely a really good football team. Hugo played outstanding. The offensive line played outstanding and defensively not too bad … They’re a good football team and next week I wouldn’t be surprised if they’re hoisting another cup,” Faulds said. Laurier star, Kwaku Boateng also commented on the loss. 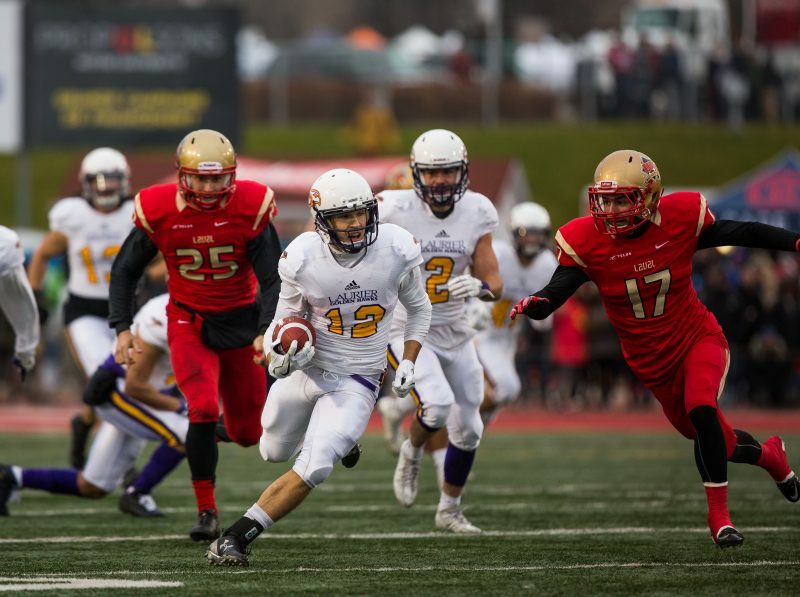 Nonetheless, the Golden Hawks had an incredible year winning the Yates Cup and will look to learn from this experience and come back stronger next season.